I shared this quilt top a while ago, asking for advice on the quilting. A friend had done the embroidery, and asked me to finish the quilt. I thought these squares were so cute, reminds me of baby Holly Hobbies. So many of you recommended hand quilting, and I totally agree that hand quilting would've been the best option for this quilt, but I didn't want to put in that much time and I knew my friend didn't expect me to do that. So I went with in the ditch quilting. I went around each square, and then along the dark pink seams. I considered going around each light pink square, but I didn't. I actually think the quilt needed the added stability that comes from crossing quilting lines. You can kind of see in this picture. 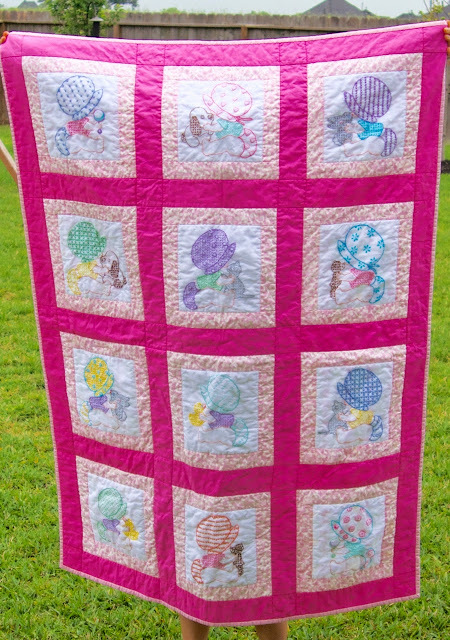 I washed and dried it and everything stayed together, and the quilt was so soft. It's always a little scary doing work for other people. I didn't want to mess anything up. I like it very much. It´s wunderful! 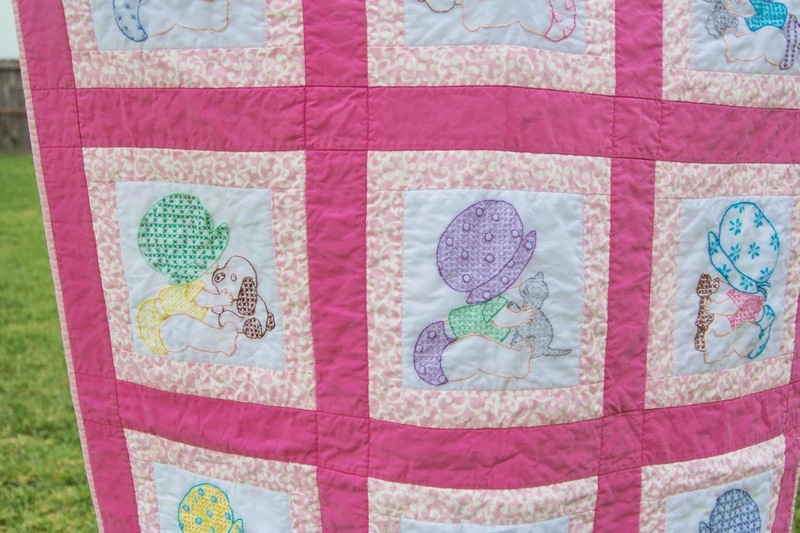 I am not generally a fan of in the ditch quilting, but this is one instance where it was the perfect choice, so as to not detract from the style of the quilt. 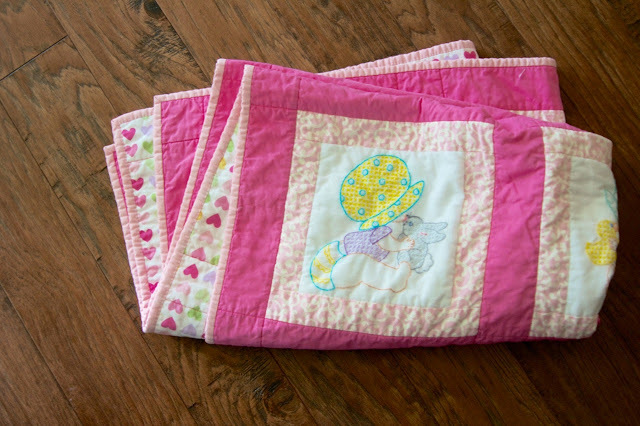 Less is more with an old fashioned looking quilt, and your choice preserved that look. It is a sweet quilt, sure to become a heirloom. Great collaborative work! Good choice! It looks perfect just like this. It looks great! 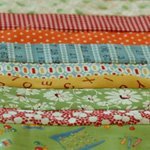 Do you know where the pattern of the baby hobby holly came from? I don't know where the pattern came from. Sorry.